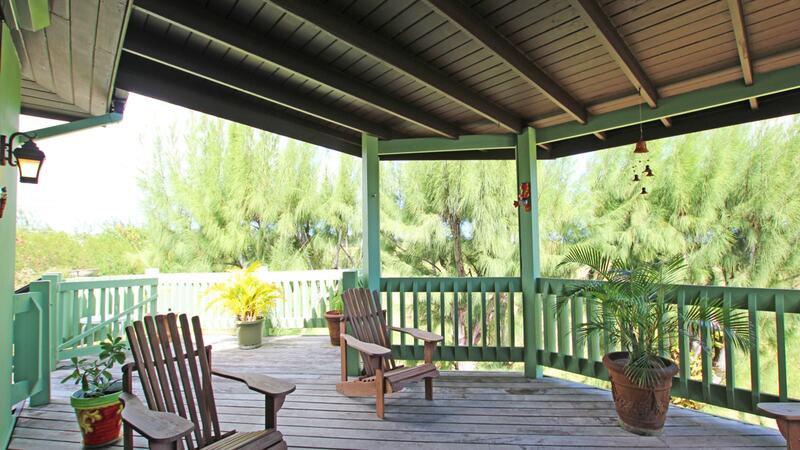 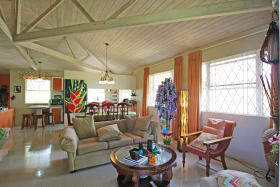 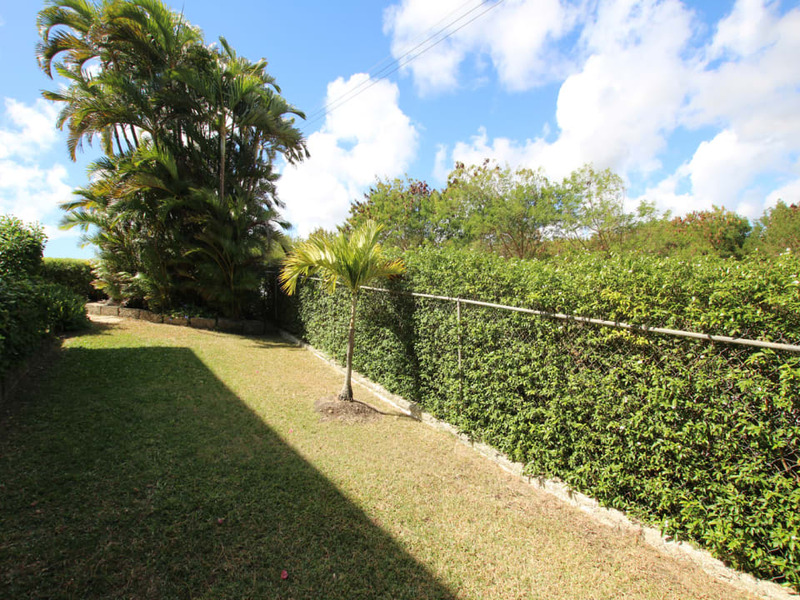 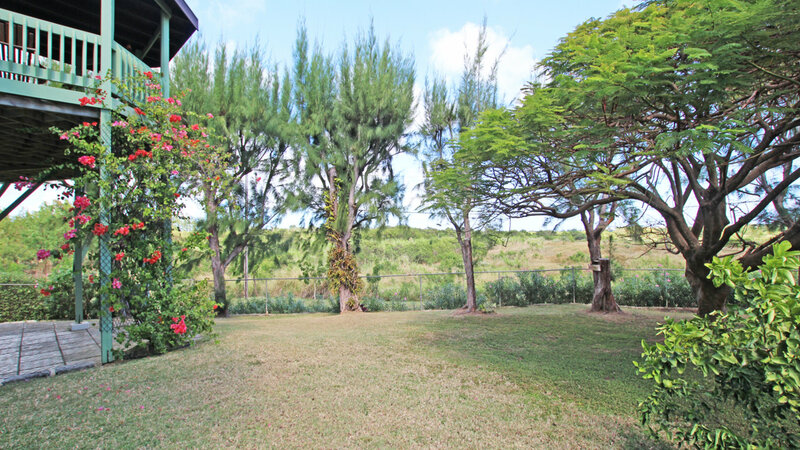 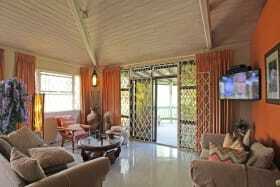 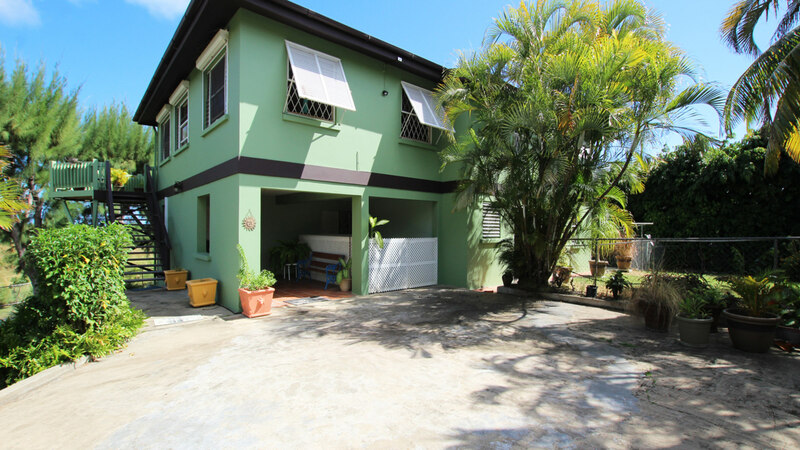 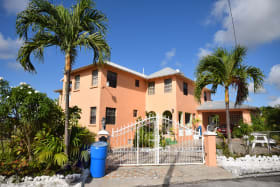 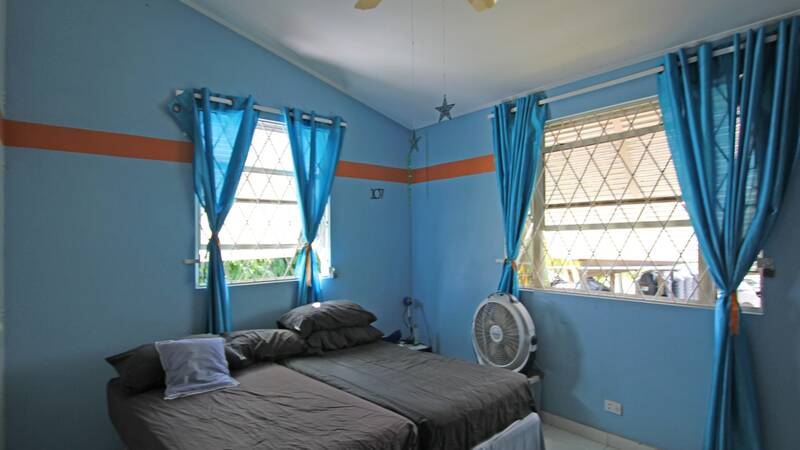 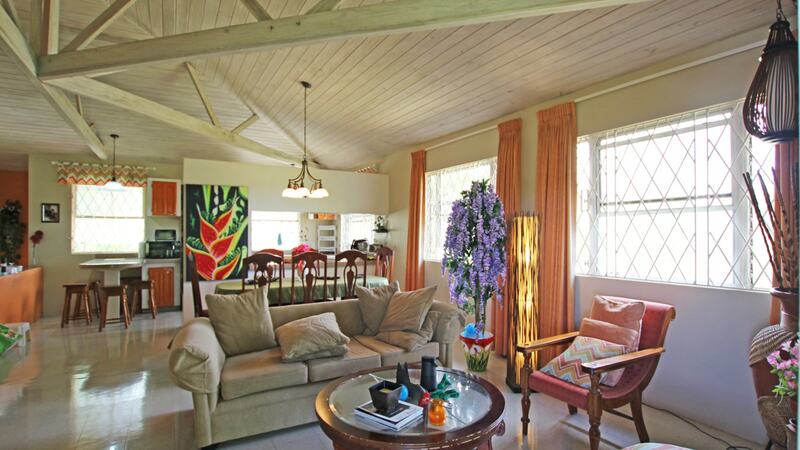 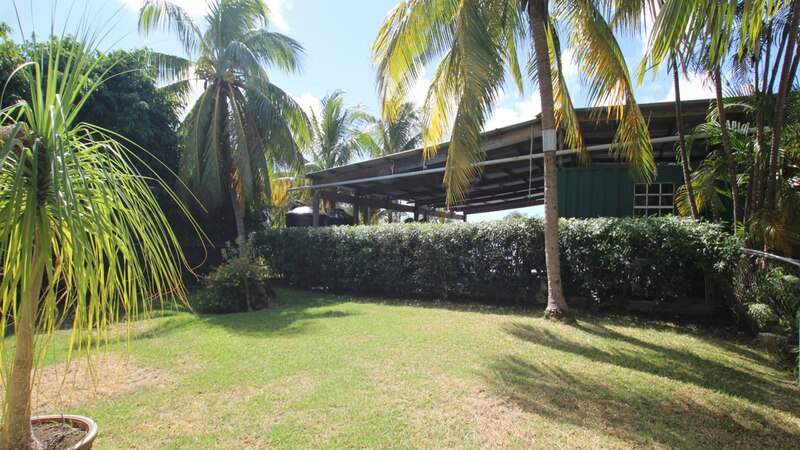 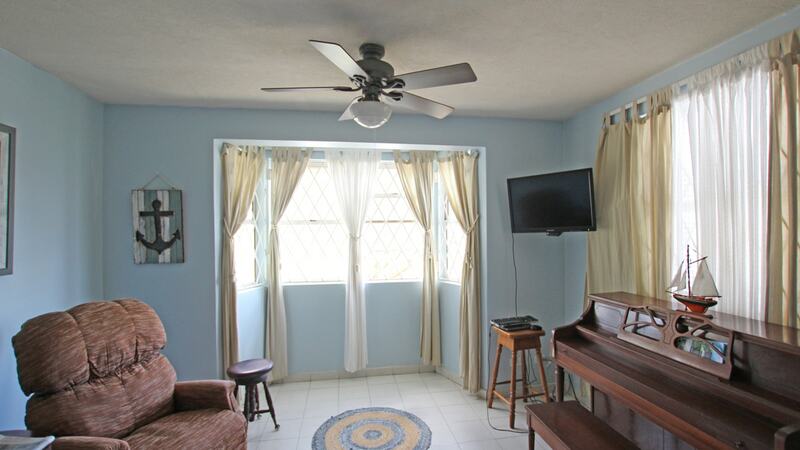 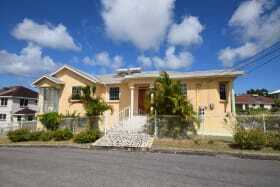 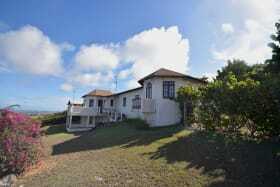 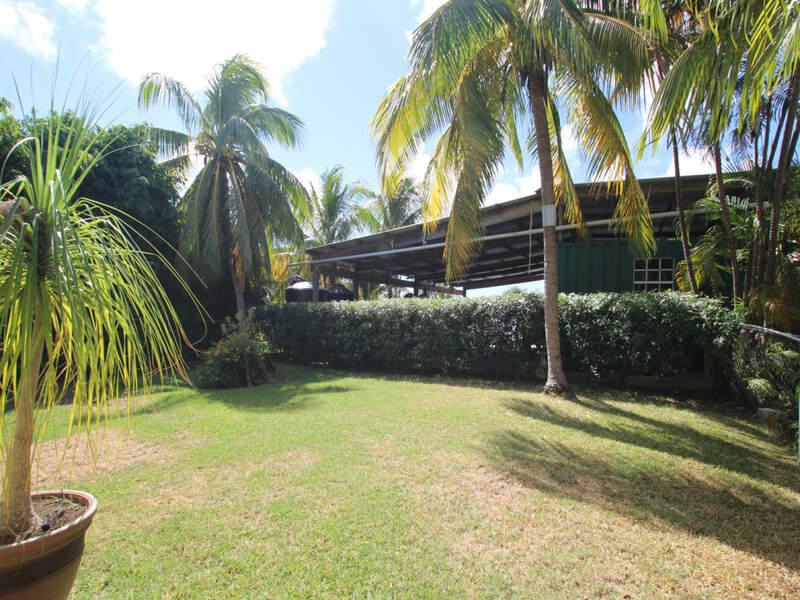 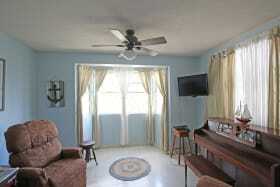 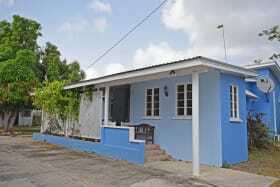 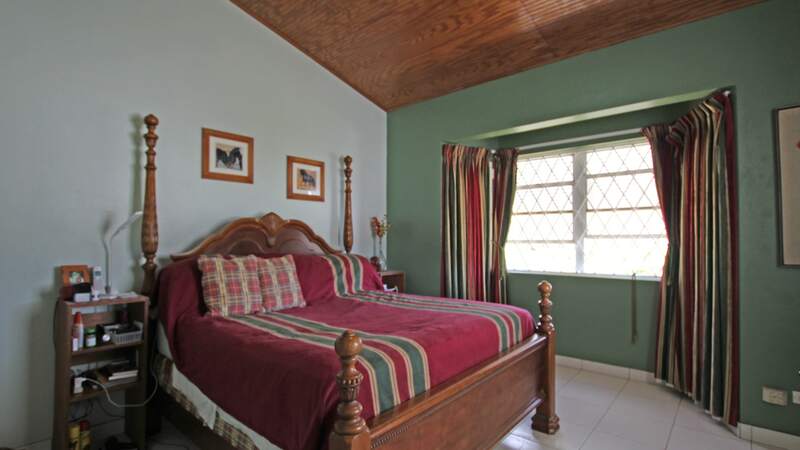 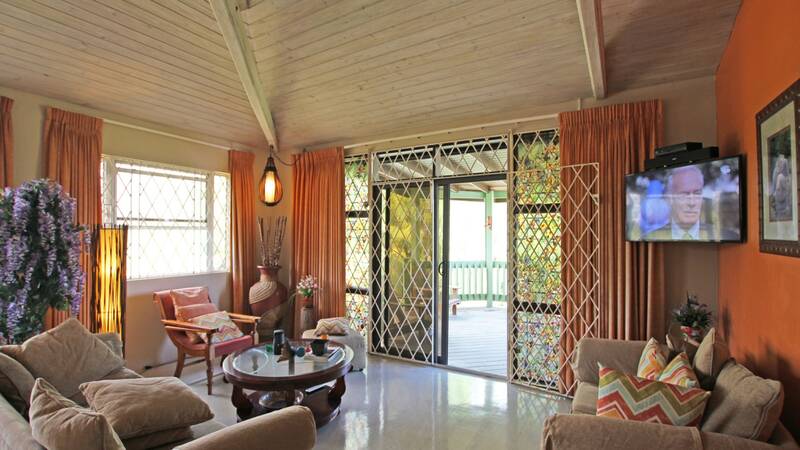 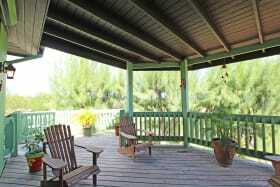 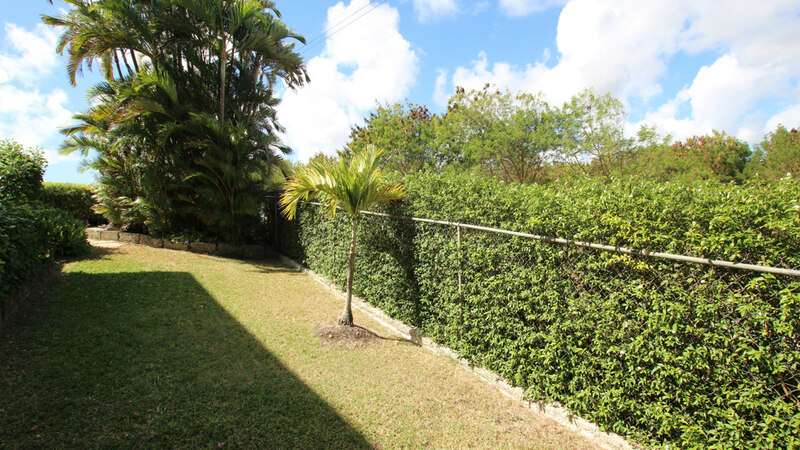 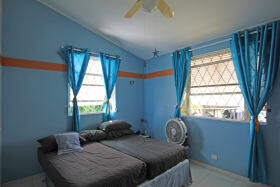 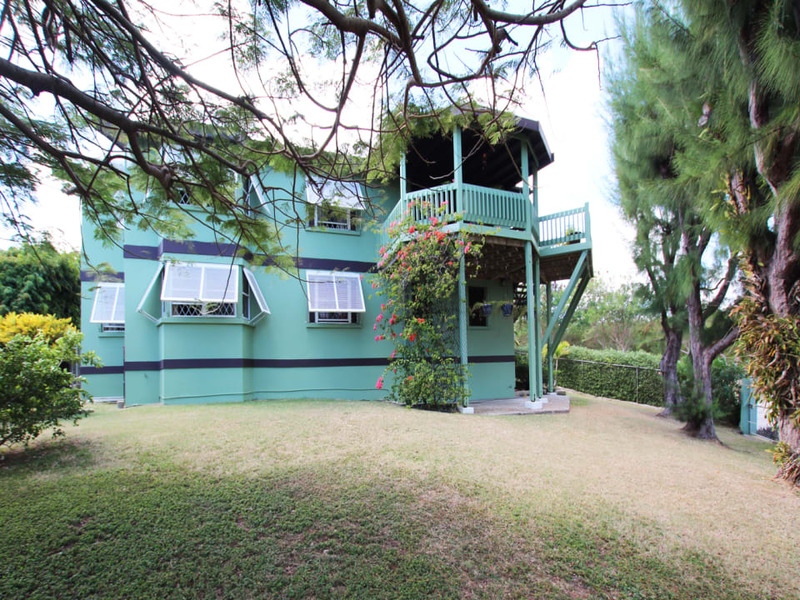 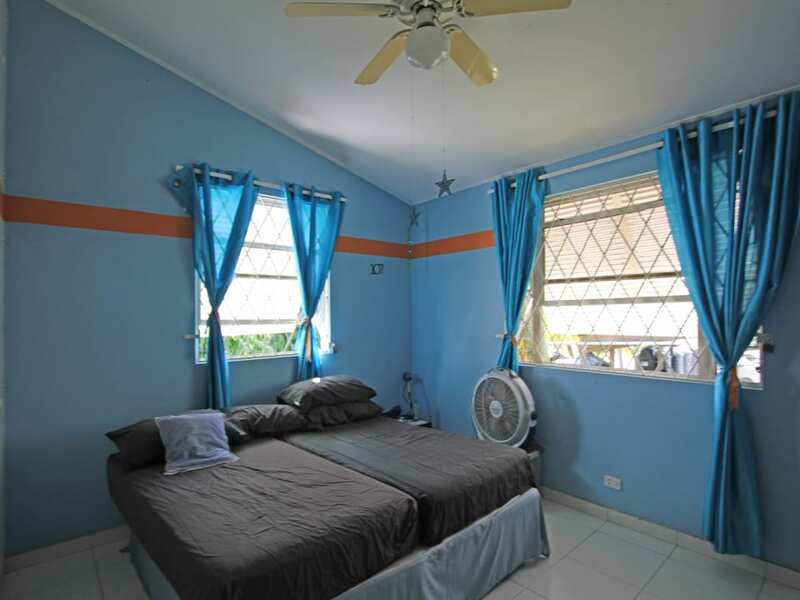 Spacious 5 bedroom home in Christ Church, Barbados just off ABC highway. 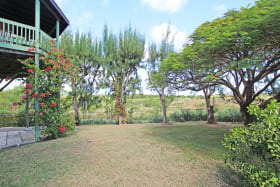 Large manicured garden with mature trees. 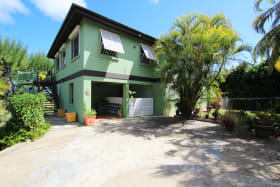 Spacious 5 bedroom home in Christ Church, Barbados just off ABC highway. 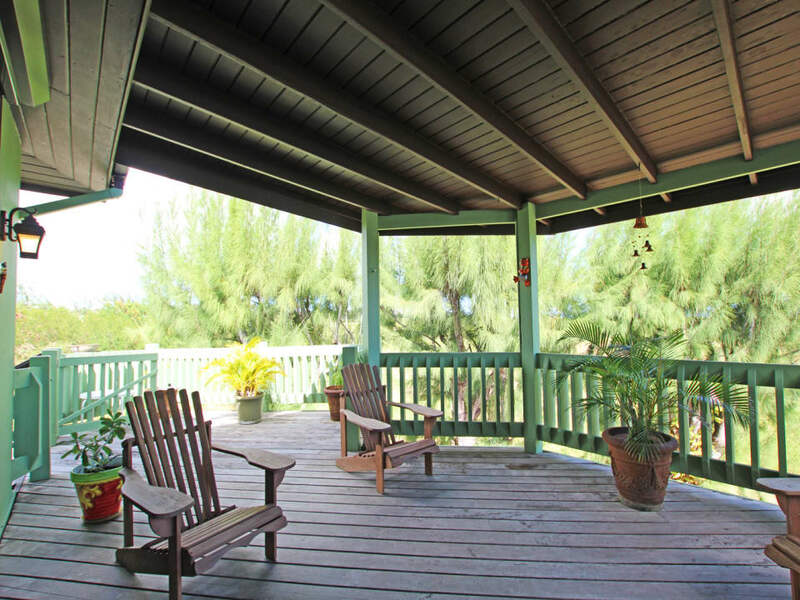 This home is located at the end of the cul de sac in a quiet setting. 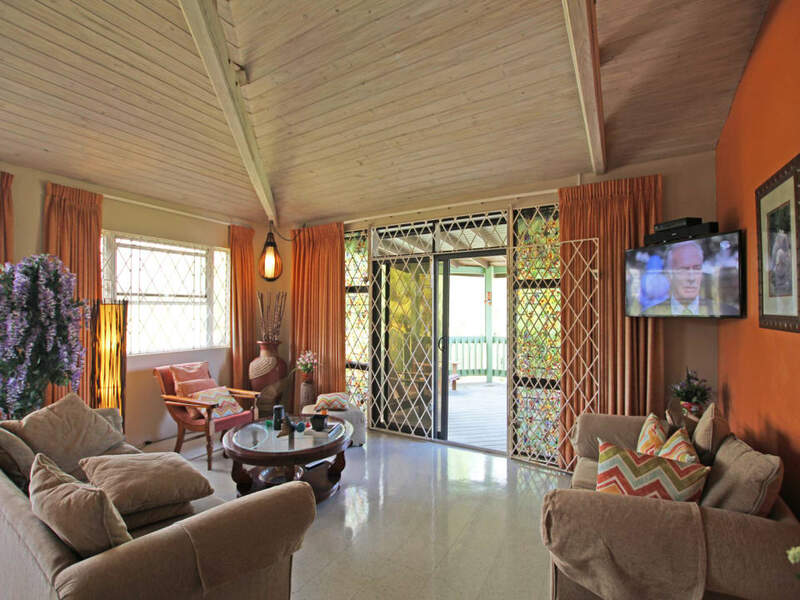 On entering the gates you have two options to enter the home. 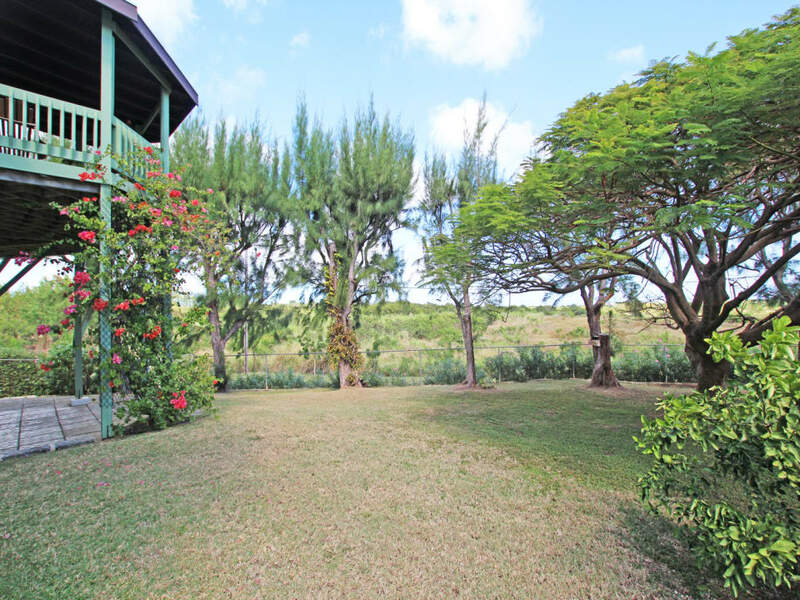 Up the stairs through the green heart patio with country views you enter through the open plan living and dining which leads into a spacious kitchen. 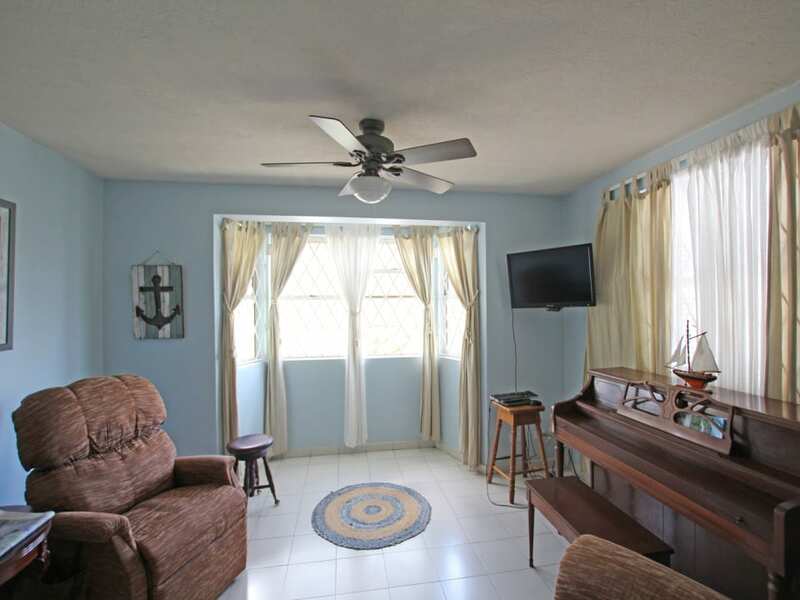 There are 3 bedrooms on this level. 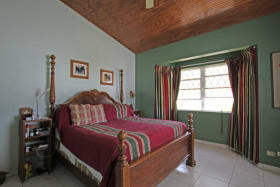 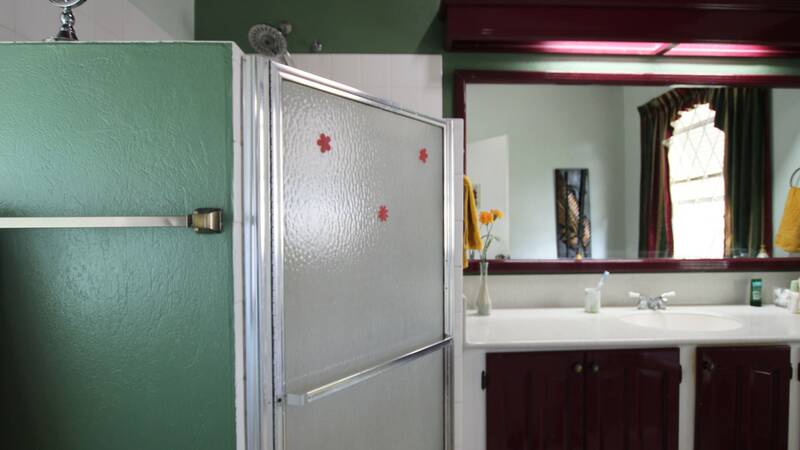 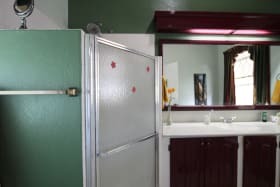 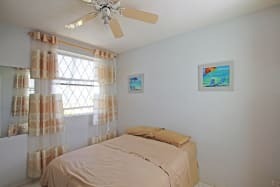 Two of the rooms share a spacious bathroom with a tub and the master bathroom is ensuite with a walk in closet. 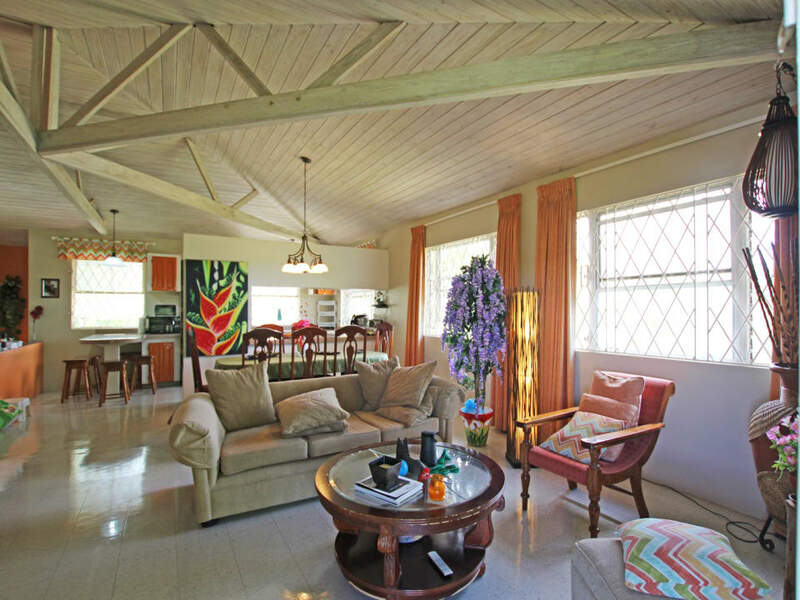 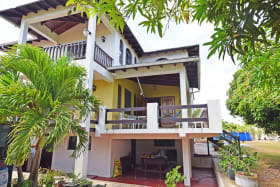 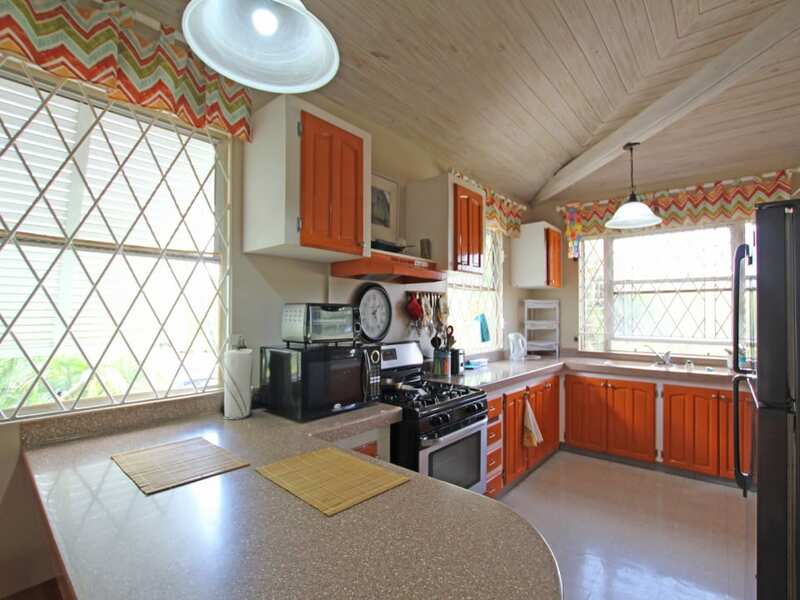 The upper floor benefits from tall ceilings and cool breezes. 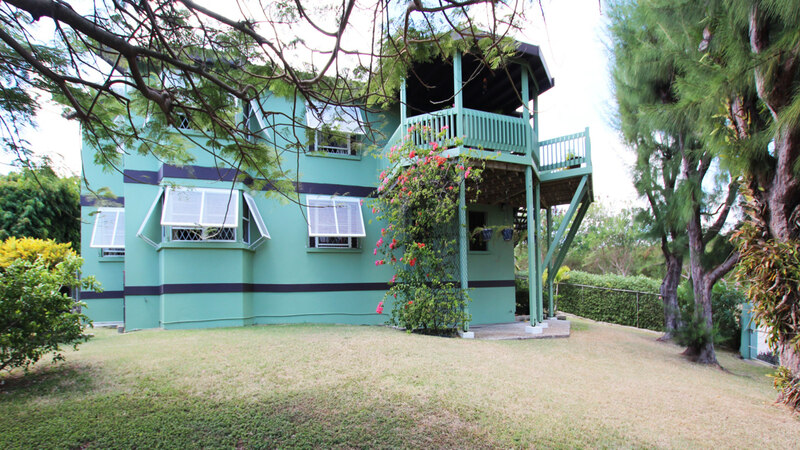 The ground floor level has a large pantry area which can easily be converted to an office. 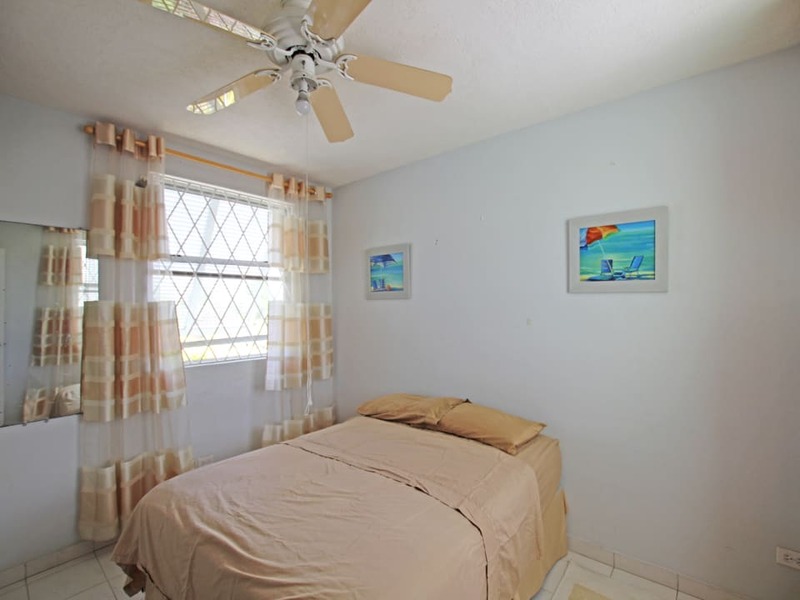 There are two bedrooms, one of them is ensuite, and a kitchenette. 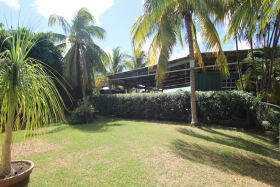 Just off the garage is an office and a workshop. 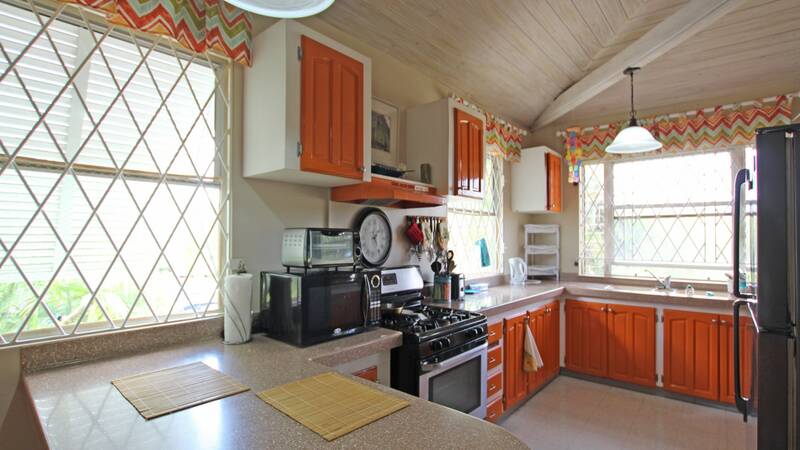 The garage has space for two cars. 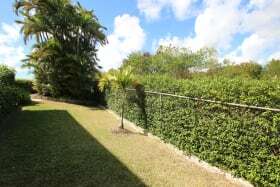 The house has security grills throughout, hurricane shutters, 2 cellars, one of which has 600 gallons of water storage and a pump. 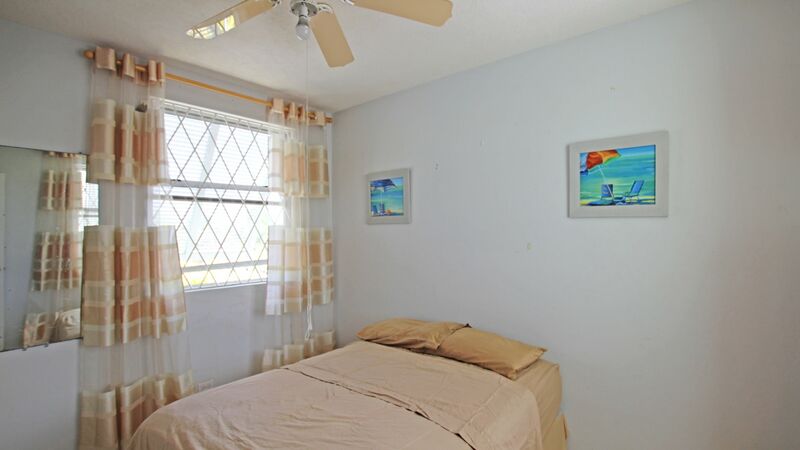 The electricity is underground to the property. 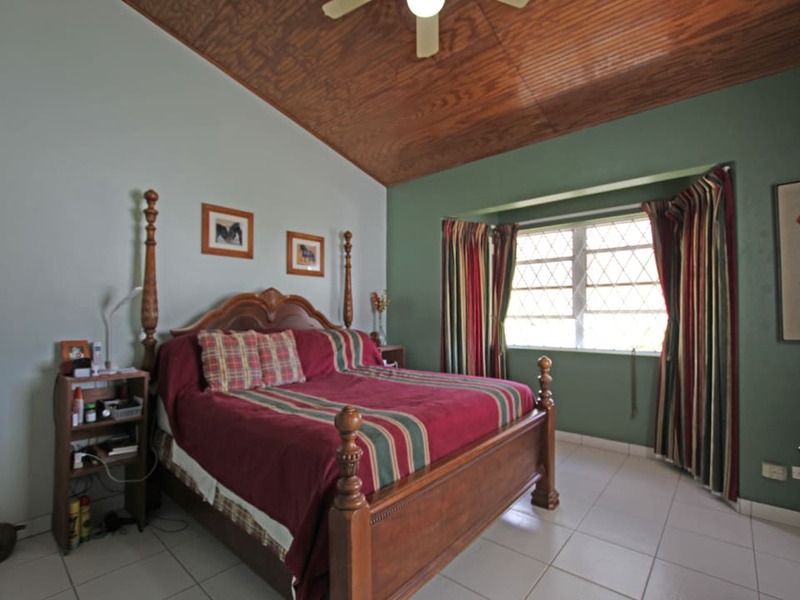 The roof is just 2 years old and the house was painted in Feb 2018. 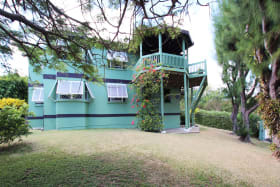 The grounds have mature trees and are well maintained. 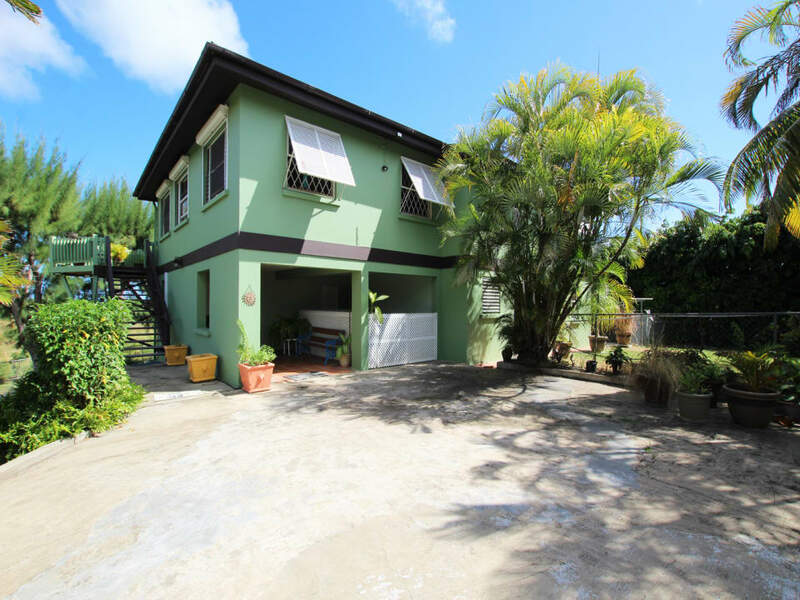 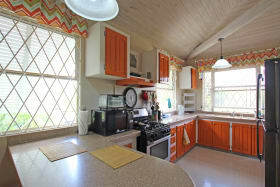 This is a well built home with excellent features in a central location. 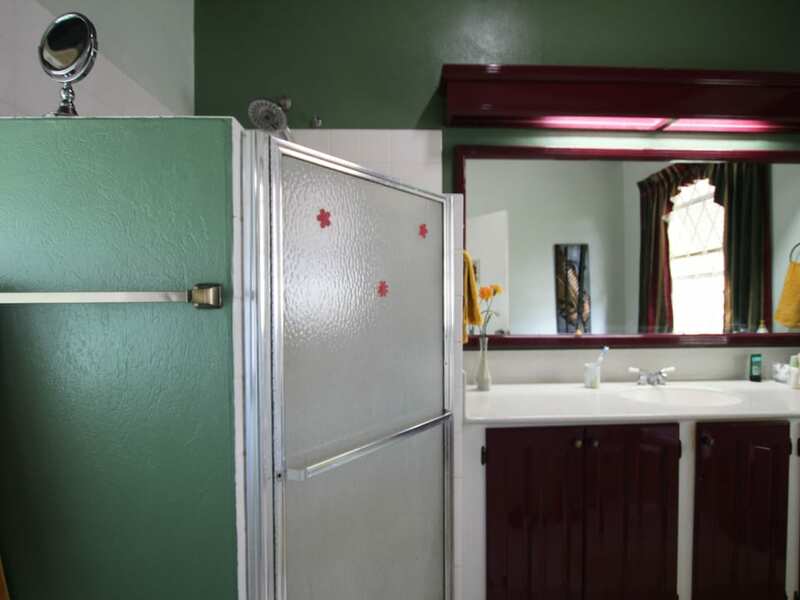 Excellent value and potential.